The imaging department at Jeff Davis Hospital is dedicated to providing quality care at competitive costs. With technologists certified by the American Registry of Radiologic Technologists. We offer diagnostic x-rays, fluoroscopy, ultrasound, computed tomography, mammography, and Mobile MRI. Our radiology department has utilized the use of computer radiography since June '05. 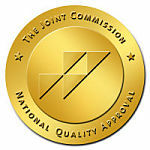 South Georgia Radiology Associates receives our digital images on a 256-bit encrypted, virtual private network, which meets all HIPPA security obligations, thereby ensuring patient confidentiality. In most cases, patient images have already been processed via the network before the patient has even left the exam room. In non-emergency cases, physicians are able to receive radiology reports within a few hours. Most exams performed in the radiology department are scheduled by a physician's office. Patients should bring their written orders with them to the hospital on the day of their appointments. If possible, due to the amount of time required to complete necessary paperwork during registration, patients are asked to arrive a few moments early for their appointments. In some cases, patients may need to take copies of their films to other facilities. We are happy to provide this service free of charge and are able to upload images to a CD in just a few minutes. Jeff Davis Hospital is proudly affiliated with Southeastern Technical College in Vidalia, GA. Students do clinical rotations in our imaging department where they work closely with registered technologists and receive training in diagnostic x-rays and the modality of their choice. Routine x-rays are the oldest and most frequently used form of radiography. X-rays are used to assess broken bones and certain types of bone diseases. Some parts of the anatomy, such as heart and lungs, are also visible on plain films and x-rays of the chest and abdomen can be useful in diagnosing certain types of illness. At Jeff Davis Hospital, we utilize Computed Radiography, which converts the previously film based imaged into a computer generated image which allows enhance imaging and manipulation due to the computer's ability to enhance our images. Fluoroscopy is the use of real-time images obtained by a radiologist in order to view the functions of the internal organs. Quite often, fluoro is utilized to see the upper and lower gastrointestinal tract. Many fluoro procedures require that a patient not eat or drink after midnight prior to the day of the exam. In some cases, a prep kit may also be given. Please call the imaging department with any questions you might have regarding your scheduled fluoro exams. Digital Mammography is the use of low-dose radiation to image breast tissue while obtaining computer enhanced Breast Imaging. Digital Mammography is used to aid in early detection and diagnosis of breast cancer. The National Cancer Institute recommends that women age 40 and above have a mammogram every one to two years. Our mammography department is accredited by the Food and Drug Administration (FDA) and also by the American College of Radiology (ACR). Computed Tomography is a medical imaging examination that is performed with a special machine. This machine delivers radiation, in the form of x-rays, through the body to create images. Computed Tomography differs from a regular x-ray exam in that it creates cross-sectional images of the body and displays them in the form of slices. 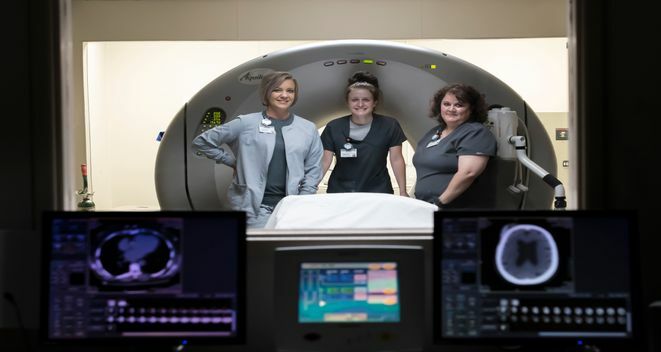 Jeff Davis Hospital offers a state of the art high-performance CT scanner. Our 64 slice Toshiba Aquilion allows our technologist to image patients faster, safer and more comfortably while optimizing workflow and system utilization in more ways than ever. Toshiba CT scanners offer features to ensure delivery of the best possible image quality at lower radiation doses for our patients. In some cases, ct scans require a patient not eat or drink after midnight the day prior to the exam. Iodine contrast can be injected during the scan to enhance different areas of the anatomy. Ultrasound is a modality in which we're able to visualize certain parts of the anatomy by utilizing high frequency sound waves. It's frequently used and most well known for visualizing the fetus in utero; however, ultrasound can also be utilized to see muscles, tendons, and many internal organs. Ultrasound does not require the use of ionizing radiation, and poses no known risk to the patient. Magnetic Resonance Imaging (MRI) is used to detect abnormalities in a variety of systems throughout the body including bone and soft tissue structures. MRI allows very detailed imaging of systems throughout the body and allows detailed imaging of certain anatomy that routine imaging does not allow. Currently, we offer Mobile MRI services through Shared Imaging Services who offer comprehensive MRI scans of the entire body.